After more than 20 years of experience in Video Game Industry, Dream-Up develops Video Games and Applications on mobile devices (Android and iOS). Project Management, Video Game Design, Development, Web Design and Consulting. Founded in 2003 by Christophe Nazaret (myself ), Dream-Up uses today its own technology to create mobile games/apps for Android and iOS devices. Fell in IT when I was 11 years old, I started to develop small basic programs on Amstrad CPC 464. During few years, I tested several other computers before moving on Amiga and really start to work on Video Game development. This allowed me to start to work at “Infogrames” in 1993, where I had the chance to be Script Developer on “Alone in the Dark 2“, then System Developer on “Alone in the Dark 3” and Project Manager on “Knight’s Chase (Time Gate)”. During this period, I also had the chance to meet my wife who was 3D Graphic Designer on “Alone In The Dark 1, 2 and 3“. 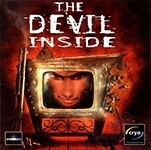 In 1997, with some colleagues and friends, we left Infogrames to create our own company “GameSquad“, where we developed, among others, “The Devil Inside” and “From Dusk Till Dawn“. In 2002, we went to Reunion Island to create another company “NP3” and started to develop the MMORPG “Dark and Light“. At the same time, I created my own company “Dream-Up” in 2003. In 2009, I became very interested in mobile development and started to develop my own technology “DreamGame“. In 2012, my family and I, left Reunion Island to settle in the south of France and focus on mobile games/apps development. Today, Dream-Up is quite present on the mobile market with more than 70 products available on Google Play and the App Store.